Why do wealthy Russians change their tax residency increasingly often? As the exchange of banking information by OECD standards kicked off it caused an growing demand among Russians on changing the tax residency, the bankers claim. 60% of the wealthy Russian residents are fearing a disclosure of their foreign assets. Russian citizens actively changed their tax residency in 2017, say consultants from Cyprus and Israel, specialising in relevant services. The demand for a change of the taxing jurisdiction increased following the start of exchange of financial information in 2018 between Russia and other states conforming with the OECD standards, as confirmed by the consultants interviewed in two of the top-10 Swiss banks. Apart from Israel, wealthy Russians picked Cyprus, UK, Monaco and Malta as new jurisdictions, according to a survey conducted by a specialised firm in 2017. One of the analysts explains the popularity of Israel with the country’s repatriation policy and the 10-year tax holidays provision for the new residents. 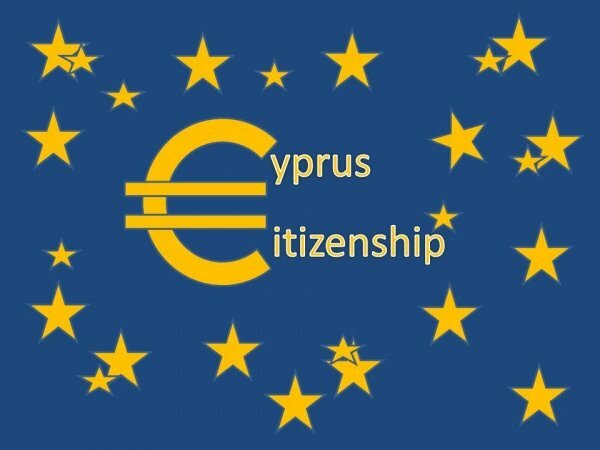 Cyprus is seen as one of the easiest jurisdictions for changing residency. Since July 2017 one only needs to spend at least 60 days a year on the island (previously 183 days) as well as meet some other conditions. One of the key terms is an absence of a tax residency in any other jurisdiction. Cyprus allows a taxpayer receiving income in dividends not to pay any income tax for 17 years. The UK is traditionally loyal to the foreign capital placed in the country, while Monaco has no income tax for residents as well as the UAE. The rest of the jurisdictions mentioned above levy the individual income tax. To become a tax resident in the UAE one needs to open a company and cross the border at least twice a year, a financial expert explains. As of 2018 Russia receives information about the foreign assets of its residents. The country signed a multilateral international agreement while also adopting the OECD Common Reporting Standard for Automatic Exchange of Financial Information. It assumes that financial institutions provide information on accounts of non-residents to the local (home) tax authority, which then transfers data to the tax authorities of the member-states that signed the convention. As of 2018, the Federal Tax Service will receive data about the accounts of the Russian tax residents from hundreds of jurisdictions, including the offshore zones. The global exchange of financial information between some countries kicked off in 2017, while Russia only began to share information with other jurisdictions since 2018. According to the law on controlled foreign companies (CFC), effective January 1, 2015, Russians are required to declare their foreign businesses and pay tax on income earned. Under the current anti-offshore policy, Russia’s accession to the OECD standard of the automatic exchange of financial information may lead to an additional taxation for Russian residents who own CFCs. Changing the tax residency allows one to hide information, particularly about the bank accounts abroad: this presumes closing of an account opened under the Russian tax residency and re-opening one in a different bank as a European tax resident. According to a survey, 60% of the wealthy clients from Russia prefer to change their residency rather than declare foreign accounts held. The reason is not only the desire to pay less taxes, but also the fear that the information will fall into criminal hands, the researchers found. Affluent customers who refuse to declare their accounts and businesses set up abroad, try to solve the issue by changing tax residency. According to a financial analyst, one of the main reasons is the lack of trust in Russian authorities being able to ensure confidentiality of the financial information. Tax residency usually includes living in a constituency for more than 183 days a year, close economic ties (such as work, business, permanent residence, or residence of the family), as well as paying taxes in line with the local legislation, a personal finance lawyer elaborates. 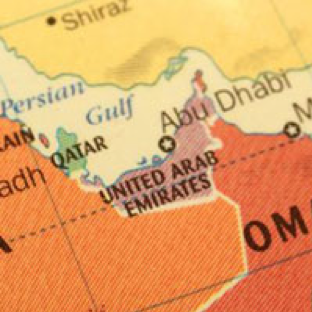 In most jurisdictions, tax residency does not mean citizenship. The presence of a passport of any European jurisdiction, says the lawyer, therefore does not automatically involve a change in tax residency. One Swiss financier from the top-10 bank says that the circumstances for the change of residency, once correctly described, would allow a client to proceed without opening a new account: one may simply change the status of the existing account. According to the standard for automatic exchange of tax information (CRS), for high-risk accounts (exceeding USD 1 million), a foreign bank has to verify the information provided by the client. When changing the tax residency, it is required to register and report to the tax authorities of the new jurisdiction. Paying taxes in a new jurisdiction is not necessarily more beneficial than in Russia, prompt the experts. There are also many other issues: it is hardly possible to simply buy a foreign passport and show it to the bank while remaining a Russian resident. «The tax authority of the jurisdiction, where the client claims to be a resident, has the right to collect taxes for the period since the beginning of his tax residency in the country,» the lawyer Yana Semenyaka explains. According to her, there is no such risk for countries with zero taxation rates (UAE, Monaco) and for the first 10 years of residence in Israel. Russia’s advantage is the lowest tax rate for individuals (13%), while other jurisdictions maintain a progressive scale, the expert notes. At the moment European regulators force banks to monitor the reliability of information about their customers, Y. Semenyaka observes. «Clients of a number of Swiss banks sign an agreement that the information they provide is reliable and, in case of its unreliability, they assume all responsibility. If an external financial audit reveals a lack of scrutiny of a client’s tax residency, this may even incur criminal charges,» she sums up. The settlements in Roubles have grown substantially within the Eurasian Economic Union over the past six years. This was facilitated, among other things, by the Western economic sanctions against Russia, given that some of its trading partners are not easily scared by a currency crisis. When might the USD and the euro be no longer used in transactions among the five member-states of the EAEU? Rouble’s share in the structure of payments within the Eurasian Economic Union (ЕАEU) increased over the past six years from 56% to 75%. Dollar’s share decreased from 35% to 19% during the same period, according to a report published by the Centre for Integration Studies of the Eurasian Development Bank. According to the analysed data, settlements in Roubles among the EAEU members today amount to over 69 billion in USD equivalent, payments in the US dollars — to USD 18 billion and in euros — to some USD 5 billion. The EAEU includes five countries: Russia, Kazakhstan, Belarus, Armenia and Kyrgyzstan. The use of national currencies by union members in mutual transactions helps the economy: the FX risks are reduced as well as various economic and regulatory barriers. Additionally, this helps the EAEU economies to strengthen both their macroeconomic environment and develop local financial markets. At the same time, without counting Russia, USD remains the dominant currency for settlements for goods and services among the EAEU states. Depending on the purpose of payments, US dollar accounts for 50% to 80%, the report says. This is not surprising, as, on the one hand, the Russian economy is the largest among the EAEU countries, and the Rouble, a priori, dominates the trade. On the other hand, the Russian currency is the strongest in the EAEU basket, with other members whose economies are less stable and bare much higher currency risks. The second-strong currency is the Kazakhstan’s tenge, and the third (by a large margin) is the Belarusian rouble. Furthermore, as the Rouble devaluates, Russia reduces imports, however exports become more competitive, while Russia is primarily an exporter within the EAEU area (based on exports of raw materials, machinery and military products). Given the bias toward exports from Russia to other EAEU states, quite regularly the settlements in Roubles are used as a means of covert lending to the Russian partners. Launched in 2011, Russia’s policy to reduce dependence on the dollar was also boosted by the economic sanctions imposed by the Western countries since 2014. Consequently, the interest in Rouble as a settlement currency among the EAEU states continues to grow. This is despite the fact that the repercussions of the 2014-2015 crisis are still present and the likelihood of its recurrence still remains in Russia. More than half of respondents expect further strengthening of the role that the national currencies play in mutual settlements. Only 17.4% believe that this role will decline. Should Rouble’s share grow at the same rate, then (in theory) by 2023-2025 the EAEU countries might entirely switch to trading in Roubles, at least with Russia. Whether the USD and the euro disappear from the settlements within the Eurasian Economic Union depends on the stability of the Russian economy and those of other bloc members, on the one hand, and on the continued policy of the Western sanctions against Russia, on the other. The tougher and the more extended the sanctions are, the more the USD share would decline in the transactions within the CIS area. While it may be too early to write off the US dollar from the EAEU transactions, the Euro seems to disappear from the EAEU market: while the share of the euro was 8% back in 2013, it was reduced to 6% in 2017. Rouble’s dominance may grow significantly over the next six to eight years if free of major shocks, although it would hardly reach 100%. For the moment, there remains a possibility of a new bloc’s currency similar to euro, unless, over time, EAEU adopts a supra-national cyber-currency. The idea of creating a currency union of Russia, Belarus and Kazakhstan was pitched as early as 2000. However, the deal did not advance that fast. In 2014, Kazakhstan signed documents to create the Eurasian Central Bank and build ground for a single currency shared with Belarus and Russia by 2025. This plan began to look even more logical given the devaluation of the national currencies and a fall of oil prices. For Russia however, creating a new Altyn or Evraz on the basis of a weakened Rouble seems like a bad idea. Although its neighbours, on the contrary, find it appropriate. In any case, a monetary union would call for a stronger economy (Russian) to sustain the weaker ones. Similarly, at the introduction of euro, Germany and France had to subsidize the weaker economies. So far, there is little chance for the Rouble of getting rid of USD and euro in the international settlements with other countries. It is the US currency that dominates Russian foreign trade with all the countries on the globe, although the USD share in transactions, no doubt, has decreased. Thus, in 2013 its share in Russian exports was 80%, while in 2016 it went down to 69.2%. On top of this, the USD share in export earnings is twice as high as in import settlements. The reason for this is the lot of O&G contracts in the USD. This is a long-time pattern which is difficult to change. At the same time, it might be simpler to enforce using Roubles in the settlements with the firms supplying their goods to Russia. Russia is not alone in its dependence on the US dollar. Many countries, including China, claim this dependence is weakening. Although, in reality, no country managed to do this. Some 70% of all trade transactions in the world are made in USD, while the euro accounts for only 20%, and 10% are the 16 remaining convertible currencies. That is why Russia’s success in getting rid of the dollar dependency, albeit within the EAEU zone, is an important achievement. Even though Russia’s EAEU trade turnover is 12 times less compared to all the other global trade partners (USD 39 bln vs USD 471 bln). For the process of strengthening of the EAEU national currencies to continue, both macro-and microeconomic stability must be maintained. At the same time, it is necessary to develop capital markets, the availability of loans in national currencies and projects in infrastructure and in the real sector. “It is the development of the joint investment projects, industrial and technological cooperation, and the implementation of the joint EAEU projects, according to the survey participants, that play a special role at the current stage. The possible areas of growth in using the national currencies are the development of the SMEs and the cross-border cooperation. It is also important to ensure the mutual protection of property rights as well as to streamline the activities of the public authorities and the courts.